According to the UN High Commissioner for Refugees (UNHCR), there are 67 million refugees worldwide of these, 85 per cent are hosted by developing countries and 57 per cent are from Syria, Afghanistan and South Sudan. The number of refugees continues to rise, creating issues for both the refugees and their host countries. The number of non-governmental organisations (NGOs) and associations have increased to solve this global issue. This situation has become a thriving environment for entrepreneurs to join. “The existence of these entrepreneurs will allow advancement of the mentality of entrepreneurship and will arm refugees with the necessary skills to work and to improve their lives. Entrepreneurs are everywhere, from small to large businesses. Nothing will prevent the refugees from benefitting from this thriving environment,” says Karim Samakie, a senior trainer and mentor for the Entrepreneurship Programme at Jiswar. “The only difference between the ordinary entrepreneur and the refugee is the real need for success. Ordinary entrepreneurs have this need, when we give refugees the knowledge about health and the skills required, they become dedicated, committed, passionate and thirsty for success. The first issue that the refugees want to tackle is the pain they experience as refugees,” he adds. His opinion is also shared by Farah Chamas, corporate engagement manager at MIT Enterprise Forum Pan Arab which organises the Innovate for Refugees Competition. 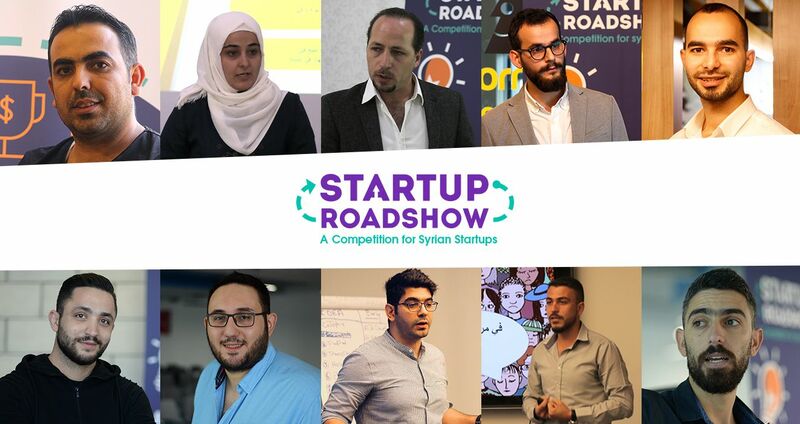 She says that most of the refugee competitors have actively contributed to a startup idea, or were beneficiaries of solutions and then joined the management teams. According to Valentina Primo, founder and CEO of Startups without Borders, technology and entrepreneurship help refugees to change their life completely. Primo states that "if we look at the role of innovation in the life of someone who has had to leave their country, we find that it certainly leads to a radical change. Entrepreneurship and innovation allow them to not only integrate into society and earn a living but, more importantly, to make their own way and to take control of their future”. She adds that “the humanitarian approach does not often give them an effective role. They find themselves in the position of beneficiaries, depriving them of their dignity. We must realise that they are more than just beneficiaries". According to Primo, innovation exists in all areas. She is of the opinion that refugee entrepreneurs are like any other entrepreneurs, the only difference is that they face greater challenges. "They address some of the most pressing issues in the world and use the latest technologies to drive change. Some entrepreneurs in our network use blockchain to create virtual identities for ‘stateless’ children in the world, others create consultancy firms for secret transactions and stock trading. They develop e-commerce platforms that employ artificial intelligence. Emerging companies in the field of education technology not only meet the needs of refugees, but also target the Arab youth at large,” says Primo. Chamas’ experience is somewhat different, especially since competitors are not only the refugees themselves, but also everyone looking to find a solution for the refugee crisis. "According to our statistics, the three main challenges addressed by competitors are education and employment, communication and access to information," she said. Ahmad Alhamwi, founder of Home Chef Lebanon, a startup that won first prize in the early stage track of #StartupRoadShow, tells us about his long journey before launching his idea. "At the beginning of the Syrian crisis, I moved with my family to Lebanon. In Syria, I was studying mathematics and physics, but when I arrived to Lebanon, I could not pursue my studies because I was not good at English, which prompted me to look for a job,” he says. It was his passion for food from an early age that drove him into the kitchen. "Switching between different restaurants, I gained experience", says Alhamwi, but he quickly found himself unemployed. Instead of giving up, he started Home Chef, serving home-made meals in Beirut. Home Chef relies on a family team that divides tasks among themselves. It is still in its infancy as a startup, but it is born out of a need, a resolution and determination to serve all people. 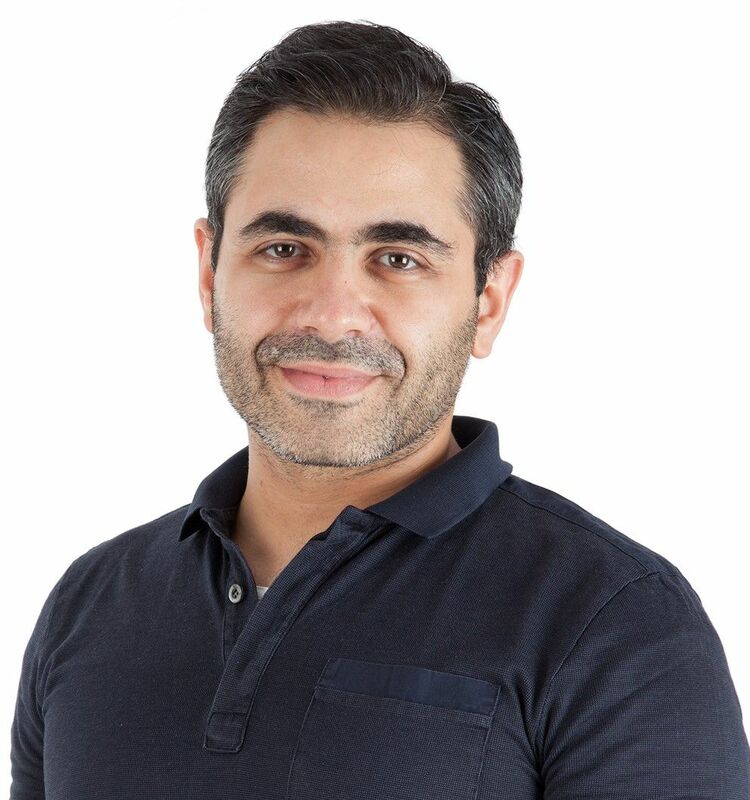 Azhar Almadani is the founder and operations manager of Shiffer, an online logistics platform for express shipping that reduces transit time and shipping costs for Syrians and refugees in general. He reveals that Shiffer was born out of his own suffering as a Syrian refugee when he wanted to register his daughter's birth certificate in Erbil. "I spent $220, and it took me more than 15 days,” he says. Almadani wondered why there was no application for sending documents with passengers. After conducting several studies, he translated the idea into a business model in September 2017 and launched a minimum viable product in March 2018 which won several competitions. His own status as a refugee has helped Almadani in launching his business. For Bailey Ulbricht, founder and executive director at Paper Airlines, the idea for her startup came to her in 2013 while she was volunteering in Reyhanli, Turkey, where she met dozens of young college-aged Syrian students who had fled the war and were desperate to complete their university degrees. "After returning to the United States, I wanted to help them, but I did not have the capacity nor the money,” she says. Instead, she gave English lessons to some of them over Skype to help them pass the admission exams at the Turkish universities. Little by little, the demand increased, so she decided to launch a beta version of Paper Airlines. "We do not claim to solve all their problems, but we help them achieve their goals by teaching them the skills they need, both online and in person,” she says. About 25 per cent of Ulbricht’s employees are either former beneficiaries or refugees. OpenEmbassy is another startup looking to help refugees. Founded in the Netherlands, it is an online helpdesk for newcomers with questions about life in the country. OpenEmbassy operates 24 hours a day, seven days a week. Questions are answered by Dutch citizens who want to support their new neighbours. This individual support enables the collation of data to provide advice to decision-makers to develop better policies and solutions. Employing refugees has enabled Frissen to build “real solutions”. “I do not see everything and I need to learn from people with different life experiences,” she says. If the difficulties, challenges and life experiences of refugees help them enter the arena of entrepreneurship with resolution and determination, but they also stand to benefit from incubation and accelerator programmes. Everyone we spoke with, whether refugees themselves or those who try to push them forward, agreed that what they need most is funding, resources and help to build a network of knowledge, not to mention reducing legal barriers to launch companies and enterprises. Their problems may not differ from those of any other entrepreneur. After all, they are also talented and have the courage to offer not only solutions that concern them but also solutions to global challenges.